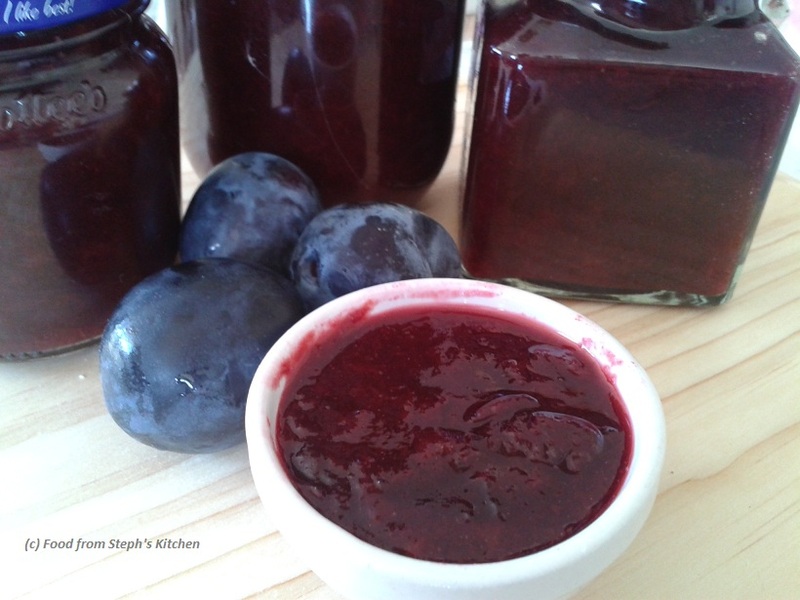 Steph's Kitchen: Easy Plum Jam - with no pectin! 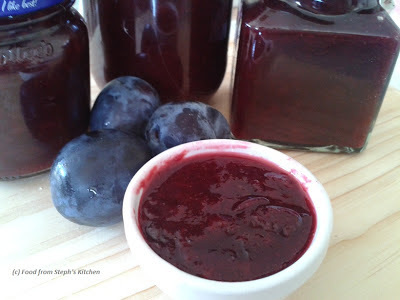 Easy Plum Jam - with no pectin! This jam is so easy to throw together, and if you have wog in-laws like me a couple of kilos of things like plums is pretty normal to have arrive on your kitchen bench for no reason! The best thing about this recipe is it doesn't use pectin and it's easy to work out ratios according to how many plums you have: for every 500g add 1/2 cup sugar and 1/4 tsp of mixed spice. So, I had 2 kgs to use! In case ratios are not your thing - I added 2 cups of sugar and 1 tsp of mixed spice to my plums. This made about three 500g jams. Simply add everything to a large pot and simmer on the lowest heat you have for a couple of hours until the sauce thickens and reduces, breaking down your fruit also. ... and I know that seems to simple - but it really is! Then just add to jars while still hot and seal straight away.